As virtual reality (VR) improves and becomes more accessible, efforts have been taken to utilize VR in medical training. 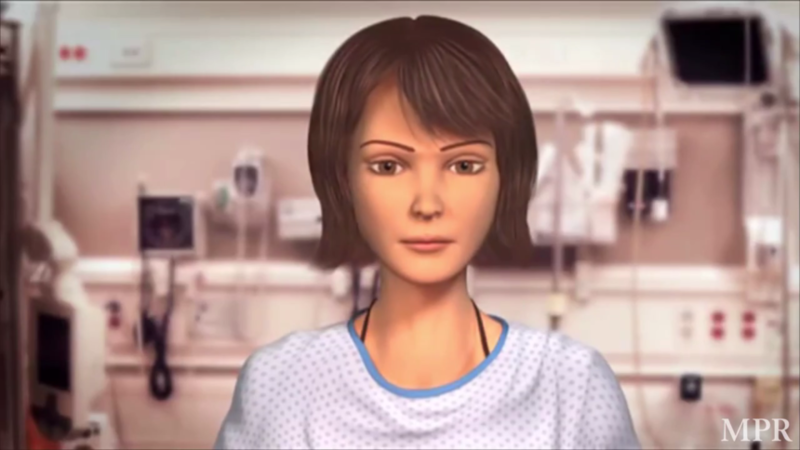 A new study published in the journal Patient Education and Counseling investigated effective communication between medical students and virtual humans in various scenarios. ‘MPathic-VR’, developed by Medical Cyberworlds, facilitates a real time conversation with emotive and reactive virtual humans. The technology is able to examine body language, facial expression and communication strategies. The trial randomized 421 medical students to either the MPathic-VR (n=210) or traditional computer-based learning (n=211) and compared scores on the advanced communication skills objective structured clinical examination (OSCE). Results showed that the students in the MPathic-VR group had significantly higher composite scores for OSCE compared to the computer-based learning students. Improvements were also noted for the second attempt at each scenario for the MPathic-VR group. Additionally, the VR group reported more positive experiences citing the programs immediate feedback for understanding how they are being perceived by patients. For more information visit PEC-Journal.com. Disclosure: The study’s lead author Frederick Kron, serves as president of Medical Cyberworlds Inc. and co-author Michael Fetters has stock options in Medical Cyberworlds Inc.